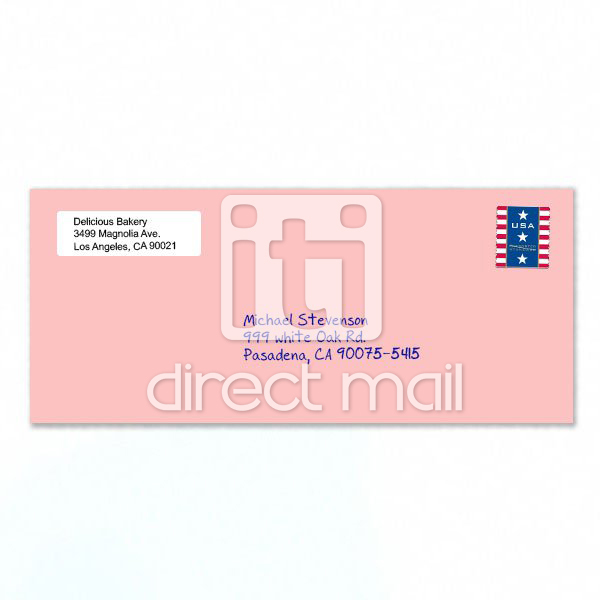 Using self stick return address labels on your envelopes will create a very personal appearance that does not resemble junk mail and will get the recipient's attention. 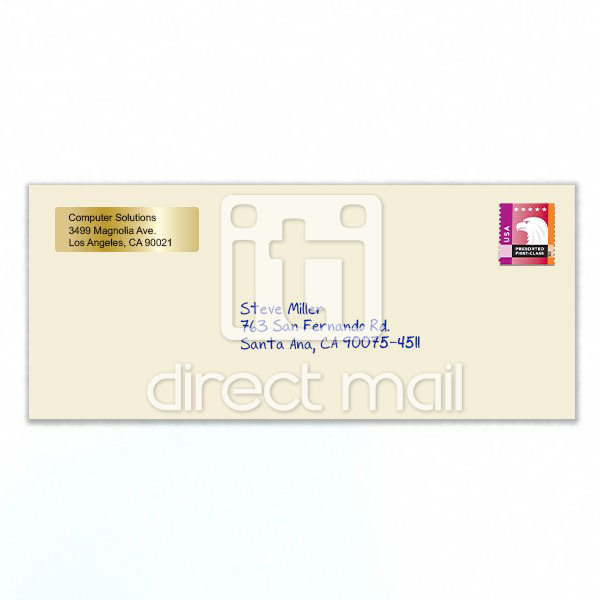 This is used in place of printing a return address on your envelopes. 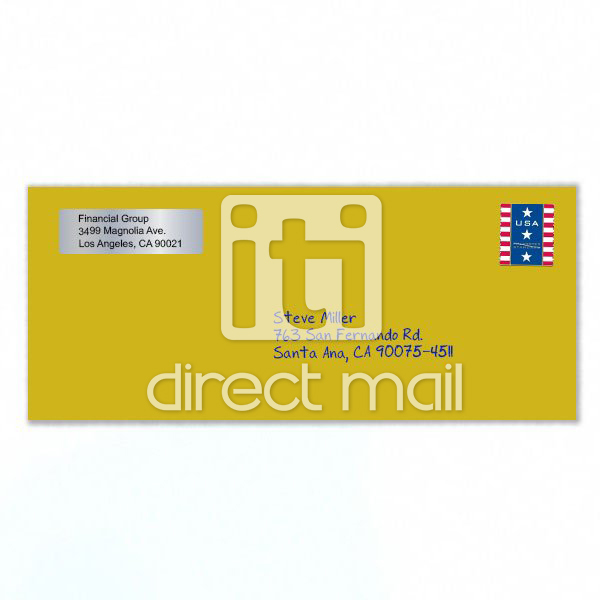 We recommend using gold color labels on white envelopes and silver or white labels on non-white envelopes; this will insure higher visibility. You are limited to 5 lines and only up to 25 characters per line, including spaces or any punctuation. Only Arial font is available for this product and NO graphics, only text. The size of the label is 2" wide by 5/8" high. Your font size is slightly adjusted based on the number of line you use, but is approximately 9 points. These labels are placed on top left corner of the envelope, where return address is normally printed. These labels can be used with regular first class or presort first-class or presort standard postage. This product has a 7 calendar day production time. This is in addition to the production time needed to produce your mailers. For instance if your mailers require a 4 day production time; then your entire job may take up to 11 days to complete including the 7 days needed for label production. Therefore we recommend pre-printing a larger quantity of labels and having us keep them in-house for future orders. After you placed your order and paid for it. 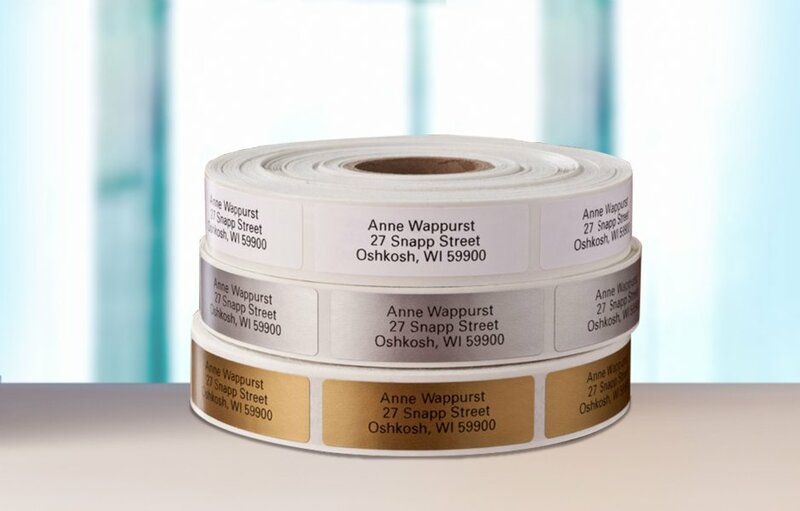 Add a comment to your order with the information to be printed on your label. Make sure you follow the restrictions specified in "Specifications" above. Make multiple orders if you need more than 1000 piece. If these labels are being ordered to be used with a letter printing job, please reference the order number for the letter printing job, if that order has been placed. Shipping: When you are placing an order for this product, do NOT choose shipping so your product stays in house to be used with your mailers. If you choose shipping, then the item will be shipped to you.